The IT/OT gap is becoming more visible. 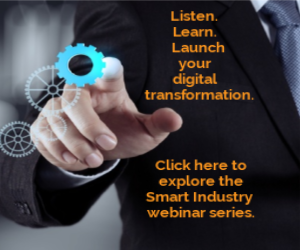 Smart Industry: Is the IT / OT gap getting narrower? Chris: No, it is not. What is happening to the gap is that it is becoming more visible and people like myself live inside the gap. It is necessary to have an official or unofficial digital transformation team and remain persistent. Smart Industry: What are the greatest challenges in getting businesses to update legacy systems? Chris: There are two approaches to executing upgrades. One is to push the upgrade from the top down, like a corporate-wide ERP upgrade where the only choice a facility gets in the matter is who is next in line to receive the upgrade. The other approach is to find people that embrace change and find what it is they need to move the business forward. My experience in IT has always been a very interesting one. Not only does the business come to you to solve their problems with technology (which often doesn’t actually solve the problem), but the business also wants to keep you at a fixed distance from the root cause of the problem, most often unknowingly. I have found myself in meetings where I was told to stick to the technological and to leave the tactical to others. The perception of IT as a support role is the greatest challenge to overcome. The best way to overcome this is to deliver on projects that make a big impact to the current pain points an operation is experiencing. Once that trust is built, people slowly change their minds and choose to include you as part of the solution next time. Since IT is most often a corporate role, you get to know people at various locations and you find that they are facing very similar problems. This presents you with a couple different opportunities. First is the ability to open lines of communication between similar roles at different locations, which gives you deeper insight into operational challenges. Because of this insight, you are now in a position to find a standard solution for everyone involved. If you are able to standardize a tech solution across the entire enterprise, you simplify your integration patterns and can spend more time executing than planning. Want an on-demand version of the webinar? Find it here.